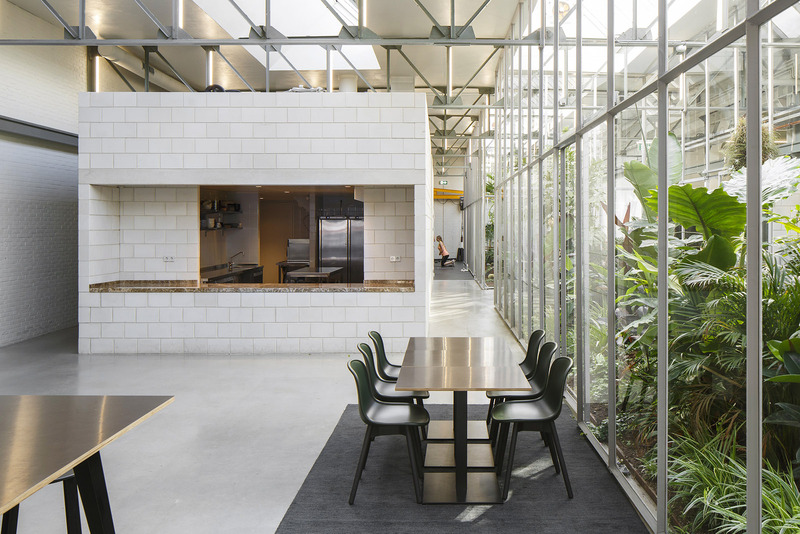 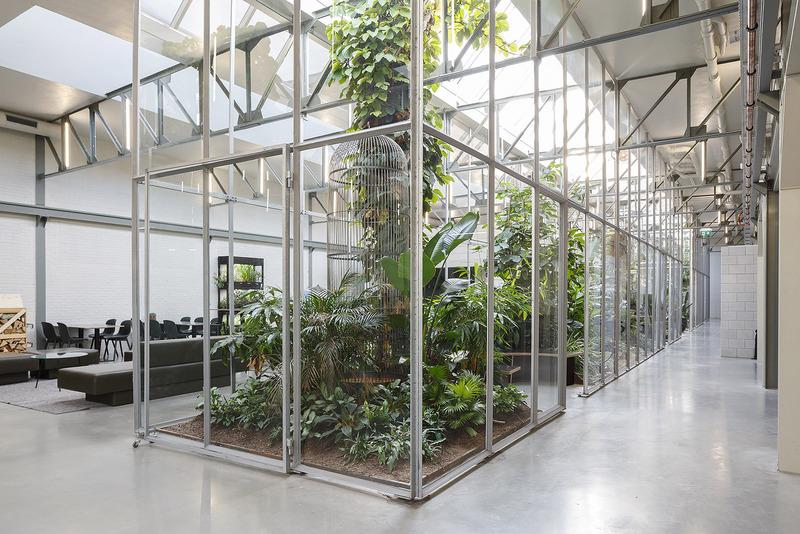 A remarkable interior shedworking environment at Amsterdam-based pushchair specialists Joolz by Space Encounters inside an old machine factory. 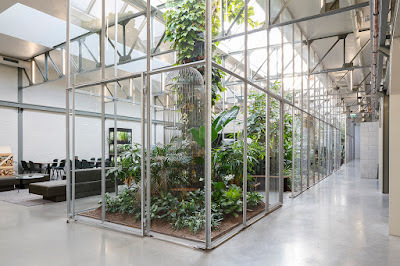 Part of the major renovation works included the introduction of three large garden spaces inside the offices which are populated by trees, plants, birds and fish. They not only improve the general feel of the space, but really put the 'garden' into 'garden office'.